Sheffield Urban CX Remembrance Rando – Sheffield Urban CX 2018 – Entries Live! November is a time for remembrance, Men and women, transported from everyday life to serve their country and to fight in theatres of conflict hundreds and thousands of miles away in foreign fields. Remembrance day was borne out of the massive loss of life in Europe and the massive outpouring of grief from families back on the home front. 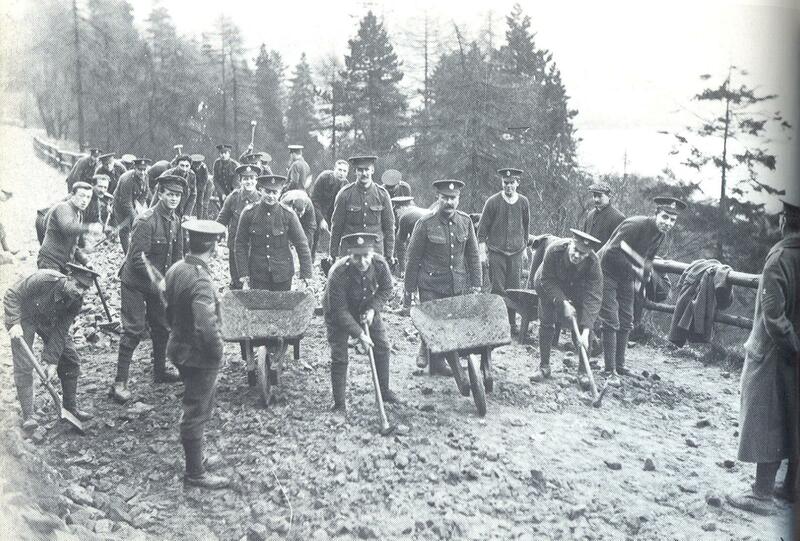 Many of the men who went over to fight were formed into ‘Pals Regiments’ , the idea behind these been that it would encourage friends, neighbours, brothers, fathers, sons to all sign up together. This had a devastating effect on communities meaning that huge numbers of the population were taken away to fight, some never to return. So I guess you’re thinking how does this link into cycling? At the start of WW1 Britain was reaping the benefits of the industrial revolution and was booming. Advances in technology and manufacturing processes meant that new affordable products to make everyday life easier were appearing. There was also another major (and possibly more important) development, the design and accessibility of the Bicycle. By 1885 Joseph Kemp Starley had perfected the design and usability of the ‘Rover Safety’ Bicycle, a design that has been the skeleton for cycle design since. So, design, sorted; production / affordability, sorted; a population with a passion to try new innovations and ride on the wave of progress, sorted. Cycling is a massive part of my life and the social side of it is an important factor. I have made may friends through cycling, my regular Thursday night ride mates have been riding together for over 20 years, riding all over the UK and abroad in the Alps and Dolomites. We have shared some amazing times, and a camaraderie exists that means entertaining banter and inspiring riding. If we were around at the turn of WW1 I am quite sure a few of us would have been drawn in by the fervor around the pals regiments. 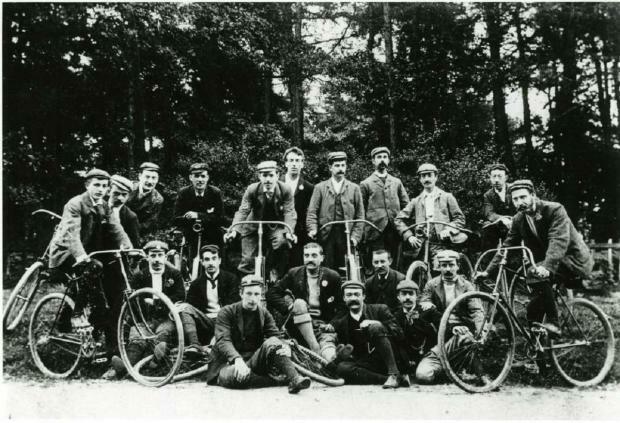 Many of the young men who would have signed up to fight on the front line in 1914 would have been as passionate cyclists as we are, enjoying riding on the crest of the growing popularity of the sport we love and also relishing the camaraderie similar to what we enjoy on our group rides today. At the outbreak of WW1 the cities and towns would have been home to cycling clubs, where friends could share the adventure of the open road. Many of these same friends would have also signed up to the ‘Pals Regiments’ who went to face the horrors of the trenches. Many new clubs and groups were set up to fuel this passion and to bring like minded individuals together, as a band of brothers (and sisters). Sheffield was no exception, and two of the Sheffield’s oldest clubs, Sharrow CC (founded in 1887) and Rutland CC (founded in 1905) would have been welcoming riders, some of who may have bought their bikes from Sheffield’s oldest cycle shop, Langsett Cycles (founded 1890). There would have been lots more cycle shops to choose from in the city too, many have now disappeared into the mists of time, the only thing remaining in some cases is a faded image of the proud shop owners standing outside their shop. The roads would have been more like the graded bridleways. By the 1910s cars would have been becoming a fairly common site in the city and surrounding ‘roads’, as would horse drawn trams (and the pungent smell of fresh horse manure). So to escape the hustle and bustle cyclists would take part in club rides and social rides to escape work and everyday troubles, every pedal stroke getting closer to the green fringes of what would have been Sheffield’s roaring and echoing industrial heart, ultimately heading for the Peaks and beyond. A striking similarity as to why we ride today, with Sheffield’s ‘green corridors’ taking riders out to explore ‘The Outdoor City’. 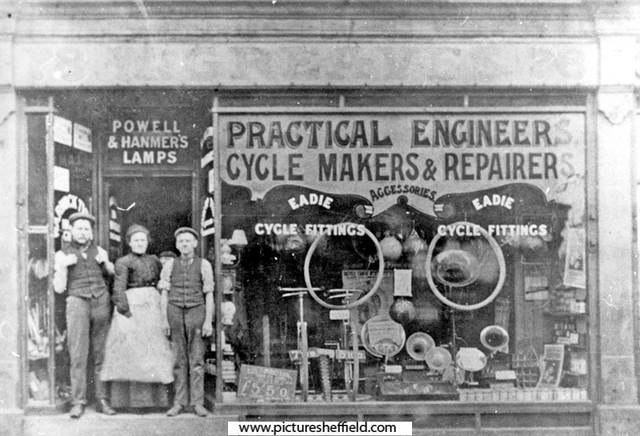 This Sheffield shop was owned by the Greaves family. It would have stocked other houshold items as well as cycles and parts. One of the many cycle shops that would have been purveyors of all the shiny new cycling related. At the outbreak of WW1 the bicycle was a technological marvel. 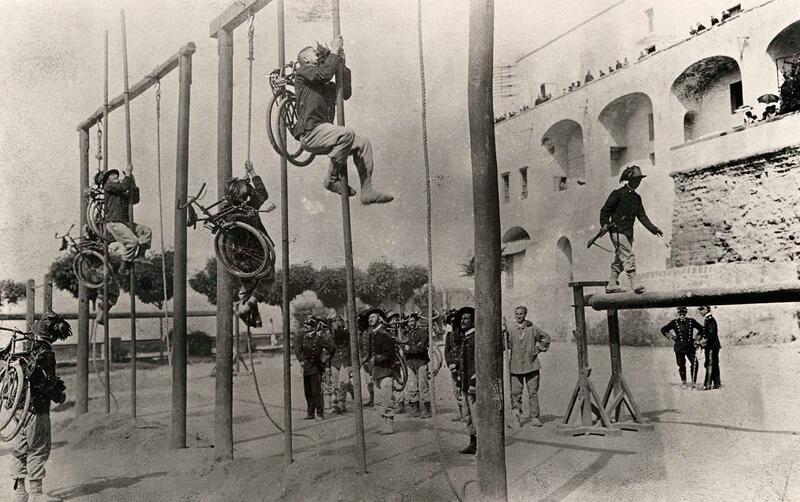 The army saw the potential of the bicycle as a way to quickly mobilise troops and maintain lines of communication. This was not just the case on for the Allied Forces, but for other armies too. The Italian troops were the proud owners of a folding Bianchi bike, this allowed them to mobilise through the Dolomites efficiently. 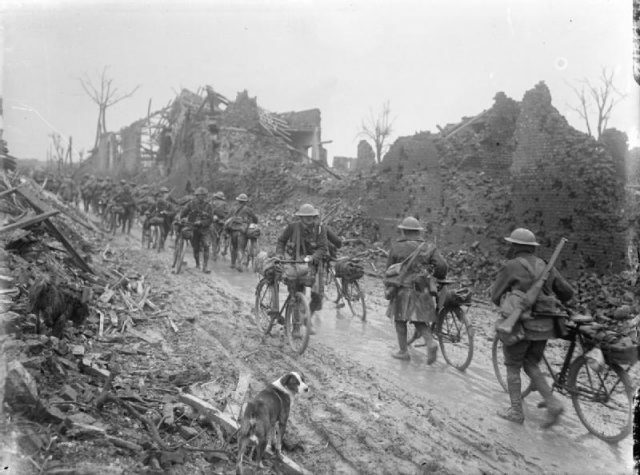 The British Army had many ‘Cyclist Companies’ at the start of the war, however as the harsh reality of the mechanised slaughter of troops crept in, many of these were disbanded or merged into infantry or engineer battalions. Riding around Sheffield there is still evidence of the impact the war had on the homefront. Aside from the social and emotional impact, the war also had an impact on some of the areas we regard as now peaceful. To commemorate remembrance day Sheffield Urban CX has put together a route that takes riders through some of these areas, past ghostly outlines of practice trenches and the foundations of a prisoner of war camp are a few of the points of interest on this route that takes in Road and off road tracks, these are rideable on a CX / Gravel Bike, MTB or even a hybrid. Due to the loose surfaces on some of the trails we would advise that the full carbon road bike is left at home. The route starts in Sheffield City centre and heads out up Ecclesall Rd, the through the green corridor out of the city into the Peak District. Routey was set up by Julian Cole and Andrew Whiteley from Sheffield (which is where most of the routes currently are), avid outdoors-ers in response to their frustration about a lack of a super-simple way to find routes without trawling through a whole lot of nonsense. We hope you enjoy the route and it would be great to read your comments. Below are a few of the key points of Interest on the route. Sheffield Cenotaph and Women of Steel statue. Our route starts in the city centre at Barkers Pool. This is the location of the Sheffield Cenotaph. 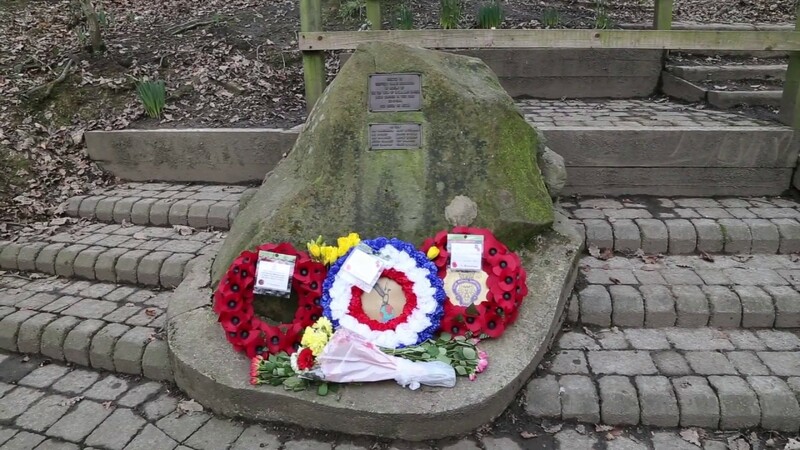 It is also the location of a recent addition to commemorate the role played by Sheffield women in the war. 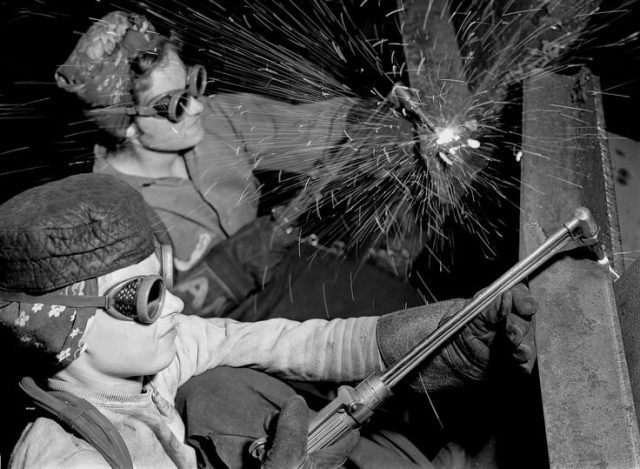 The ‘Women of Steel’ statue represents two female steel workers. With a high percentage of the male population away fighting, these ladies stepped up to fill the places in the many factories and steel mills of Sheffield, where output was vital to the war effort. 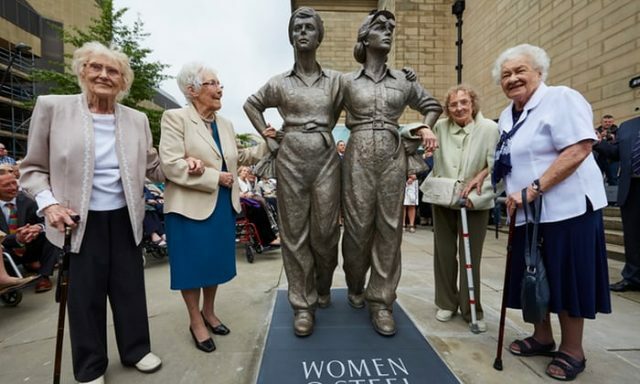 The sculpture is by artist Martin Jennings and we think it captures the steely determination of these women who played a key role in Sheffield’s war story. 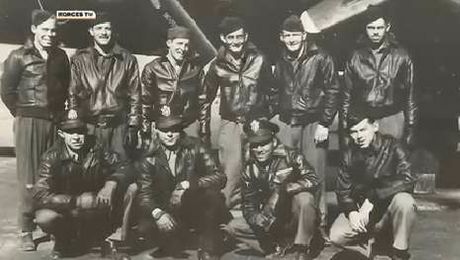 Feb 22nd 1944, the crew of the US airforce B-17 Mi Amigo were returning from a bombing mission in Germany. Speculation is the stricken plane and its crew went off course, being based on the East Coast its thought that the Mi Amigo sustained damage to it’s navigation instruments, which put her too far north. Damage sustained from the tenacious german fighter cover as they left the Danish coast for home and lack of fuel meant the plane had to crash land. It was @17:00hrs, Captain John Kriegshauser navigated the plane over the rows of houses that edge Endcliffe Park and headed for the open parkland, pulling up enough to avoid children who were playing football. The Mi Amigo crashed where the memorial is now. The bravery of the Mi Amigo’s 10 crew is commemorated with 10 American Oak trees planted near the memorial and a service is held every year on the Sunday nearest Feb 22nd. 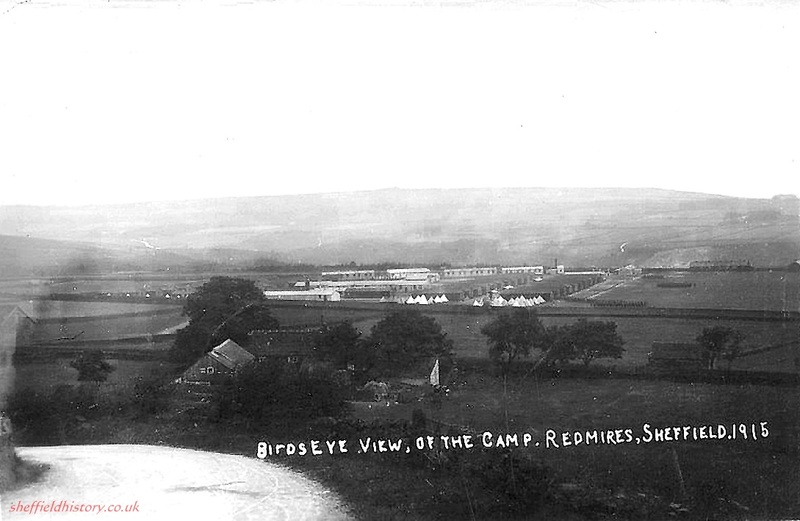 The area surrounding the site of the Prisoner of War Camp at Redmires was originally used as a racecourse in the 1870s, however, this fell at the first hurdle (sorry) as the ground is marshy and the wind blows across the moors. 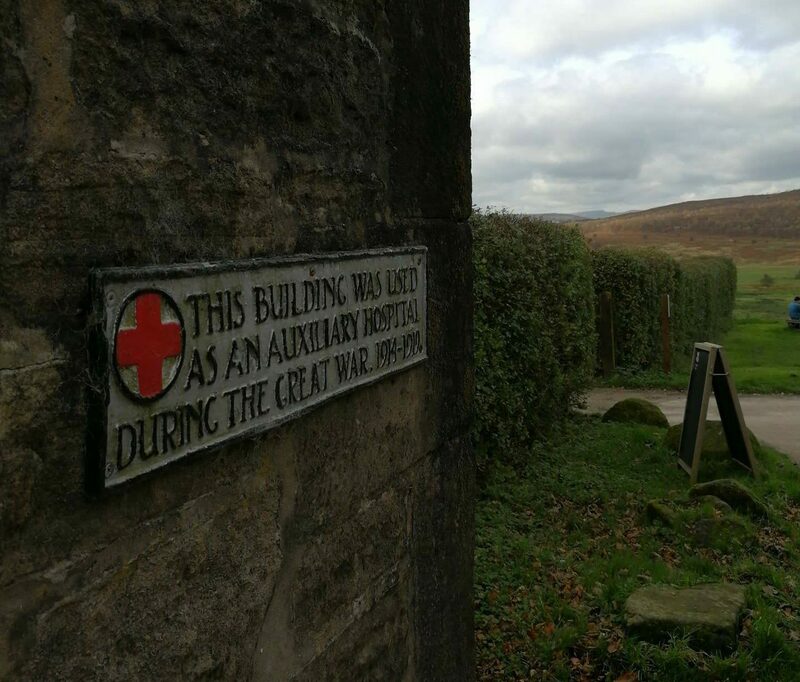 The site was used for artillery practice by a Sheffield Battalion in WWI. In 1914 a camp was built for the Sheffield Battalion, who subsequently were destined to fight in the horrific Somme offensive. 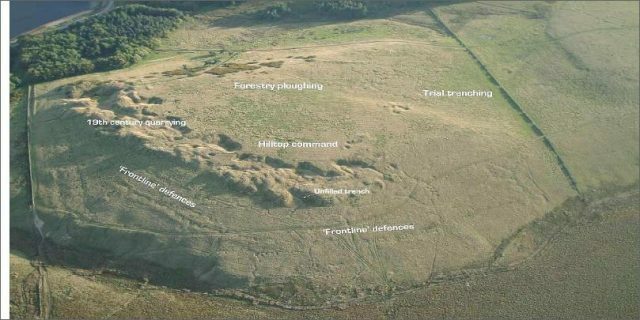 The site was then used to house German Prisoners of War between 1917 and 1919. 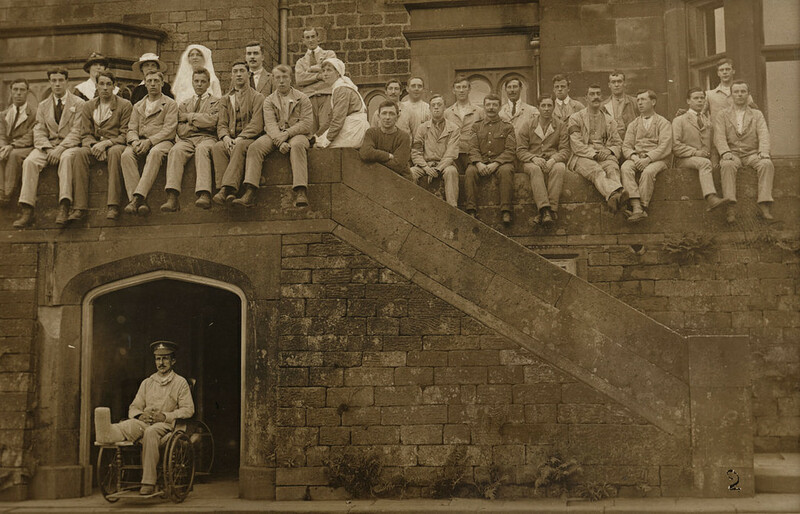 Between the wars it was used as a smallpox hospital and as an extension to the Lodge Moor hospital, which stood further down the hill, towards Sheffield. This camp was demolished in the 1930s and in 1939 a new Prisoner of War camp was built in a slightly different position to the original. It housed German and Italian Prisoners of War between 1939 and 1947. The camp was subsequently burnt down and a woodland planted in the 1950s. 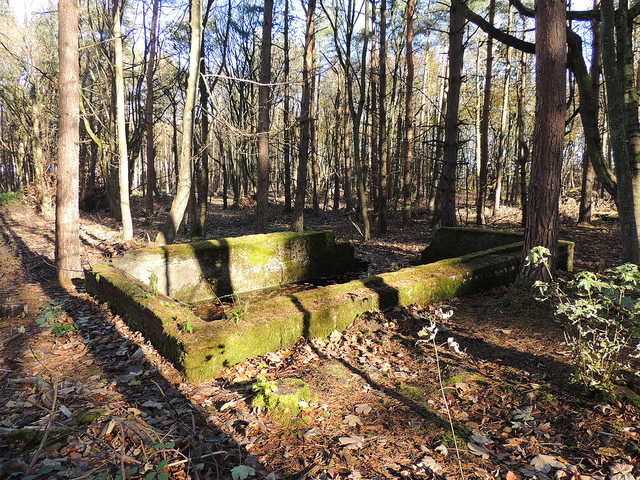 Nature has since re-claimed the area, however the ghostly moss covered foundations of the camp can still be seen. Head for the car park for the playing fields and there are some paths into the woods. Pop in for a lunch or drink stop at the Three Merry Lads or Sportsman pub and enjoy the views. Keep an eye open for the sign on the wall of the house, by the cafe. 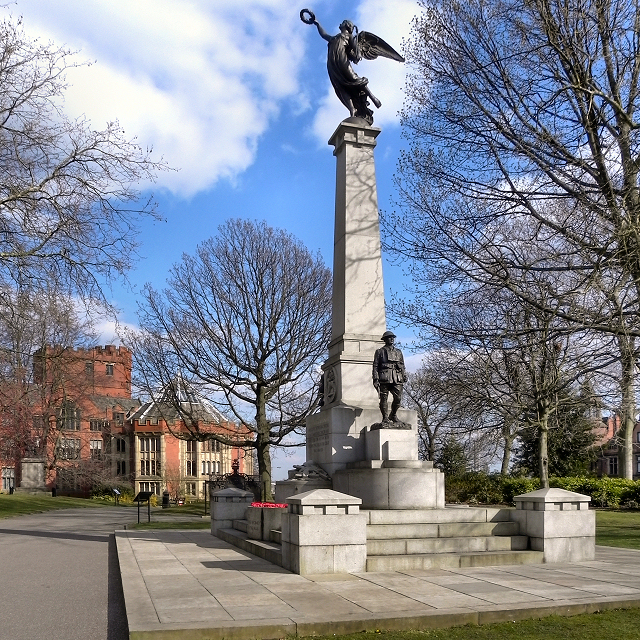 The Yorkshire and Lancashire war memorial in Weston Park features some stunning sculptures and carving. Keep an eye out for the Boer War memorial too.